There's been a lot of upheaval and uncertainty in global markets recently, and, for the United States, part of that is the new imposition—by both America and China—of tariffs. Beyond any financial arguments about whether or not trade wars are good and easy to win, there's no doubt whatsoever that trade wars, specifically in the form of tariffs, will change the market. And though it may take a while for these effects to be felt by the public, the impact of tariffs will be felt first and most deeply by manufacturing. Tariffs can have a huge impact on manufacturing and many other American businesses in unexpected—but understandable—ways. The U.S. has recently gone after the industrial sector with tariffs specifically targeting steel and aluminum. Any steel or aluminum coming into the U.S. from specified nations now has an additional percentage cost added to the existing price. In other words, tariff impact on manufacturing means foreign steel and aluminum providers now have to pay an additional 25% and 10%, respectively, before they can cross the border into the U.S. and be used by American businesses. Of course, steel and aluminum are pretty commonly used materials in a wide variety of industries, businesses, and applications. So, that extra cost will affect more than just the materials industries that are importing them into the country. As steel and aluminum import taxes increase, many businesses feel a ripple effect. Not only do tariffs impact the manufacturers of these metals affected, but also a manufacturer’s clients who turn steel and aluminum into consumable products. For example, cookware and plumbing manufacturers will pay premiums for the materials needed to produce their goods. Further down the line, bakeries, restaurants, hardware stores, plumbers, and many other tradespeople will see increases in the cost of steel-based and aluminum-based products that are necessary to their professions. In turn, those bakers and plumbers must now decide whether to absorb the loss or raise the prices of goods and services to their customers in order to offset the price increase on metals. Every link in the chain is affected by tariffs: the first-level producers, manufacturers, small and mid-sized businesses reliant on those products, and finally the everyday consumer. Governments know that tariffs are going to have a huge impact on the economy of the other countries involved a trade war. That’s why they are effective means of negotiating market conditions. However, many businesses and consumers get caught in the middle. So what can a small or mid-sized business do as tariffs are on slapped on the products they need? 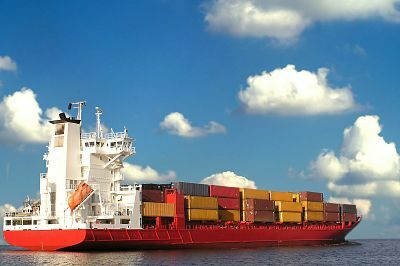 While it may not be the solution for every manufacturer, one effective way to mitigate tariffs on manufacturing is to source materials from unaffected nations. Steel and aluminum, for example, are receiving tariffs from many nations, but Australia and Argentina are exempt. Sourcing metals from these countries means business can go on as usual. For businesses using metal-based products, it may be best to arrange your affairs before tariffs begin to affect you. For example, if you need new tech equipment, with aluminum and steel parts, purchase that equipment soon or second-hand. You can also make more strategic business moves when scaling up. Say you're looking to expand your restaurant business to new cities, consider purchasing a space that's already outfitted with most or all of the features you'll need, so you can reduce the costs associated with acquiring new, and often imported, materials. If you'd like to know more about tariff impact on manufacturers or which tariffs may affect you, reach out to your GJM team. Let us guide you through a complex, ever-shifting market and global trade climate. Established in 1996, Gilmore Jasion Mahler, LTD (GJM) is the largest public accounting firm in Northwest Ohio, with offices in Maumee and Findlay. Locally owned, GJM offers cloud-based accounting services and provides comprehensive services including assurance, business advisory, tax, risk advisory and healthcare management. The Firm’s professionals specialize in industries including construction & real estate, healthcare, manufacturing & distribution and utilities.